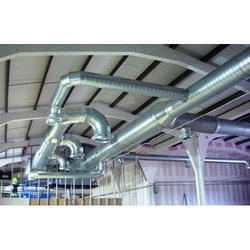 We are offering Industrial Air Ventilation System. - Air capacity: 5000 m3/hr. to 200000 m3/hr. Fresh Air Ventilation System for Work shop, factory shed, tunnel, under ground room, Pump house, power plant, confined space etc. Mechanical ventilation refers to any system that uses mechanical means, such as a fan, to introduce subaerial air to a space. This includes positive pressureventilation, exhaust ventilation, and balanced systems that use both supply and exhaust ventilation. Sungreen Ventilation Systems Pvt Ltd.
Boom Age Engineering Solutions Pvt Ltd.
We are one of the renowned manufacturers of a wide range of aluminum - hylem balanced bobbins, jacquard machines, wooden finger joint machines & Air Turbo ventilators. Apart from this, we also offer after sales support to our clients. 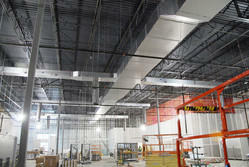 Our company has gained name and fame in presenting Fresh Air Ventilation System.